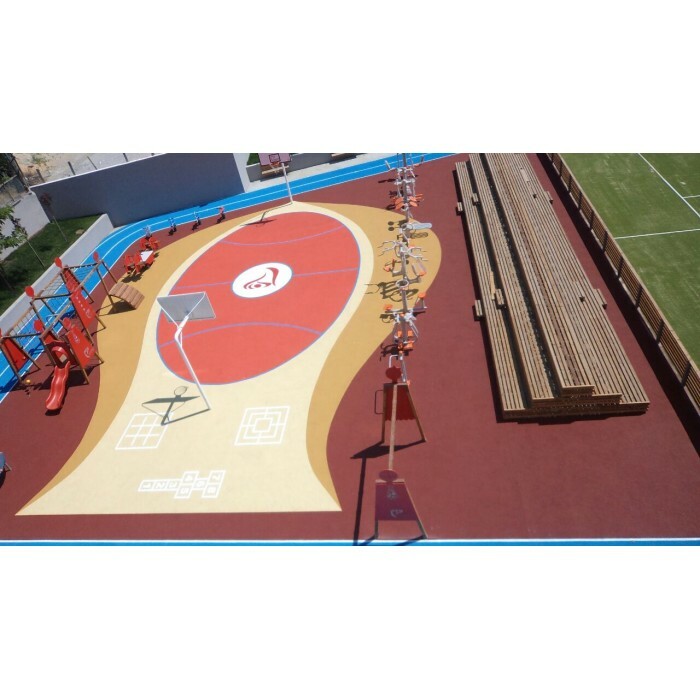 ARS Track SW is a high performance athletic track system. 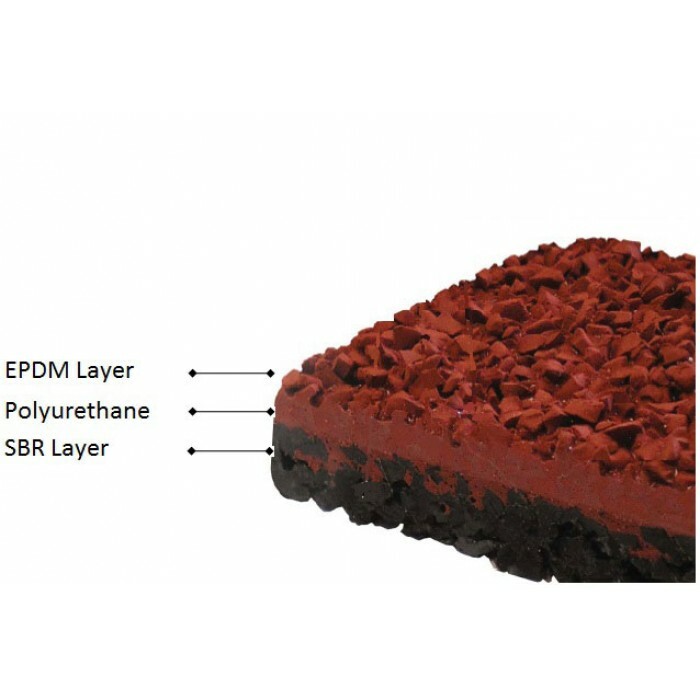 It is a water impermeable sandwich system where a polyurethane wear coat is broadcasted with EPDM granules installed on an in situ made base layer of SBR granules mixed with polyurethane binder. 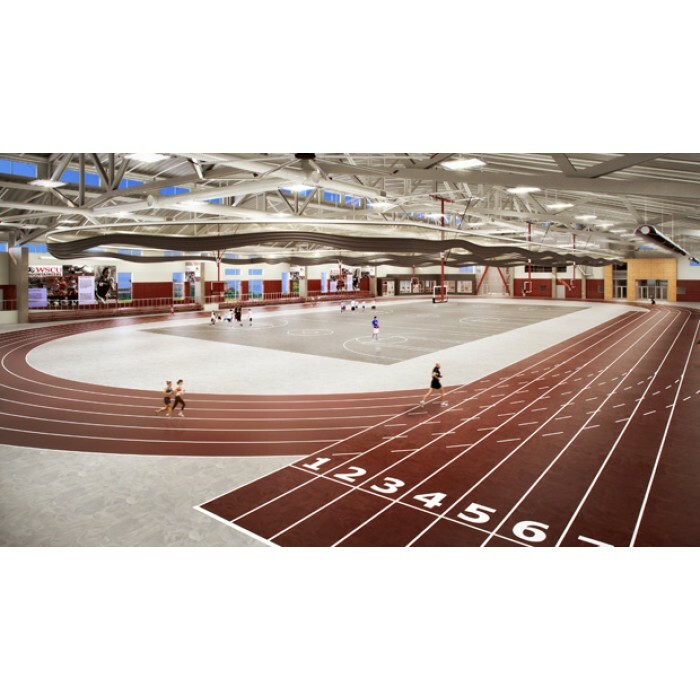 ARS Track SW is a high performance athletic track system. It is a water impermeable sandwich system where a polyurethane wear coat is broadcasted with EPDM granules installed on an in situ made base layer of SBR granules mixed with polyurethane binder. Installation of ARS Track SW will be installed on an insitu base layer which consist of a mix of SBR granules mixed with polyurethane binder. This base layer will be installed with special paving machines. Before applying the insitu base layer a primer must be applied for proper adhesion. The base layer is sealed with a polyurethane track sealer. Finally the last toping of coloured EPDM granules broadcasted into an impermeable wear coat of polyurethane compound will be applied.